Paseo del Sol is a safe, gated condominium project of 10 individual homes situated in L section, that offers all the comforts of tropical living within a lush, jungle setting. Located close to key amenities such as grocery stores, the bank, the gas station, and the hardware store, its convenience cannot be overlooked. 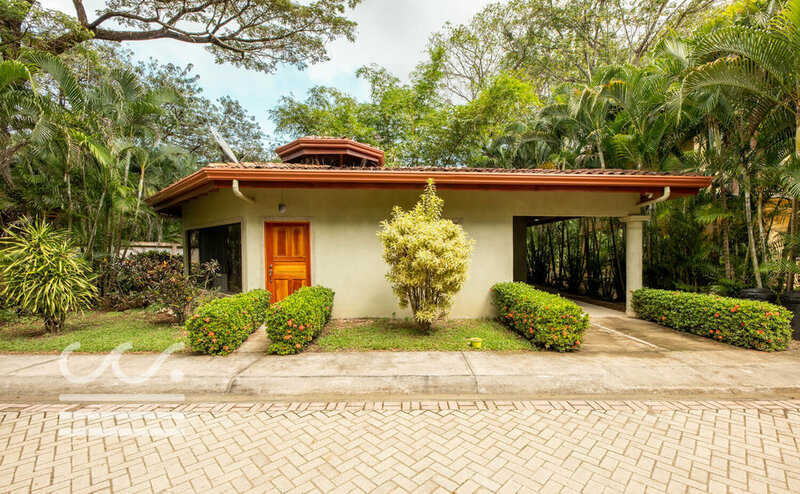 For families looking to settle to the area, it is also very close to Del Mar Academy, the only accredited Montessori private school in the Nosara district. Unit #5 is situated close to the entry gate, and is an extremely budget friendly, introductory opportunity into the Nosara real estate market. As a 2 bedroom, 2 bathroom bungalow design, its durable build offers a lovely high octagonal designed ceiling with exposed wood beams. The home comes complete with refrigerator, stove, washing machine and dryer. The community common area offers a spacious pool to lounge by and a playground for little ones to enjoy. As an investment opportunity, Paseo del Sol is ideal for long term rental, as you will never have a shortage of viable candidates looking to rent in this area.